This post is sponsored by Mpix, whom provided the framed prints. All thoughts are my own. You all know my love of gallery walls runs deep. I love the timeless look they can bring to any space with simplicity and ease. 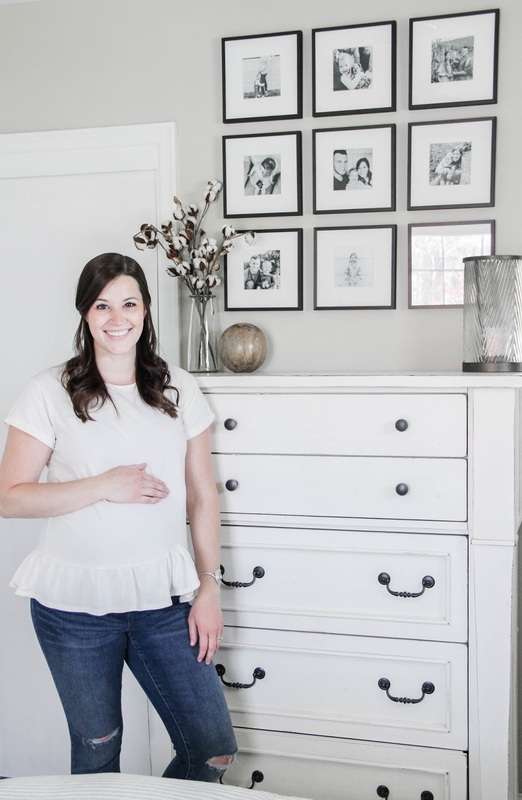 So when it came to putting the final touches on our master bedroom makeover (reveal coming next week!) I knew I wanted to make a bold statement in the room with a gallery wall full of candid photos from our private collection. 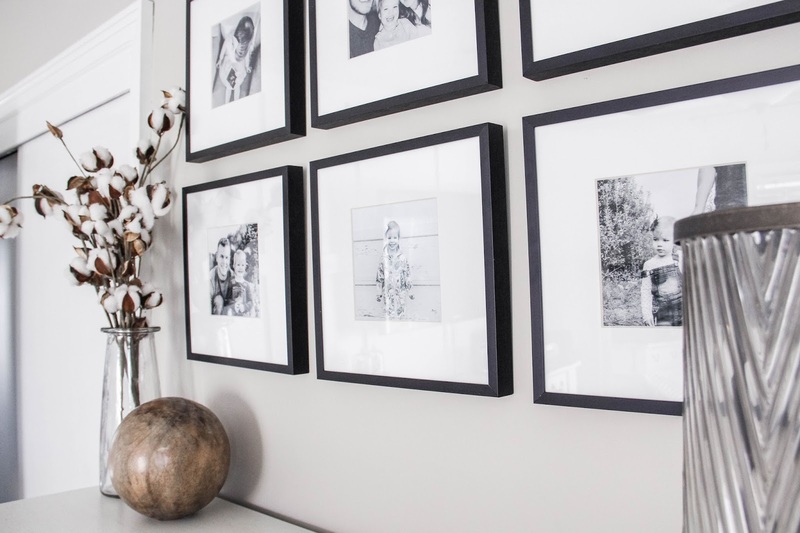 Since the room itself is on the small side, it was key to keep the gallery wall small + symmetrical to complement the space and not overwhelm it. Additionally, I wanted to stick to black and white prints to get that bold look, but to minimize the colors in the bedroom to a minimum. I applied that same thought to the frames themselves, opting for thin, black, metal frames with white mattes. This gave visual space to the gallery wall, bringing the focus to the photos themselves. And y'all, I achieved the perfect look I was going for. I can't stop staring at this sweet little spot in our room. 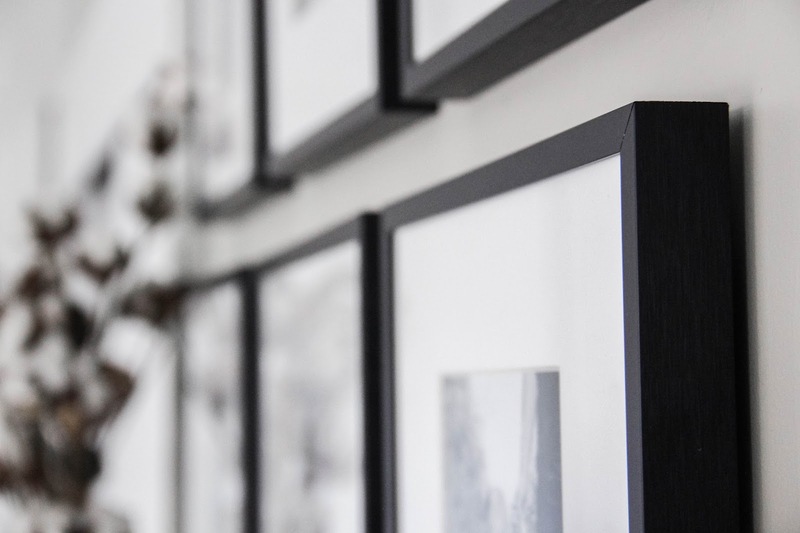 Knowing I wanted a gallery wall that would boast beautiful, high-quality prints, as well as exceptional frames, I chose Mpix to get the job done. They never disappoint, just check out this gallery wall in my family room. And I love that I could get everything from framing to printed photos all done in place. Better yet, they arrived together and ready for hanging! I chose black metal frames for a 5x5 photo. There are 20 different frame styles to pick from. Using square frames made for a square gallery, which was preferred over a rectangular gallery. The prints are 5x5, black and white. Some of the photos are taken from my phone, while others were taken with my DSLR. Every photo looks high-quality, a testament to the professional printing job by Mpix. The frames are spaced 1.5" apart on all sides. I wanted to keep a tight gallery wall, and this was the optimal spacing to achieve that look. Because of the white mattes keeping the photos separated from one another, the smaller spacing worked really well with square frames. Mpix is currently running a 25% off Wall Art sale from today through May 2! 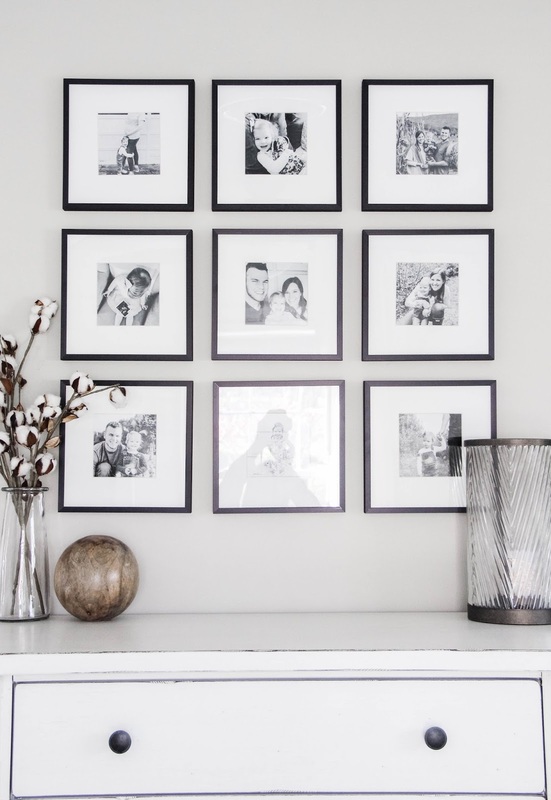 Be sure to take advantage of this and put together your gallery wall! 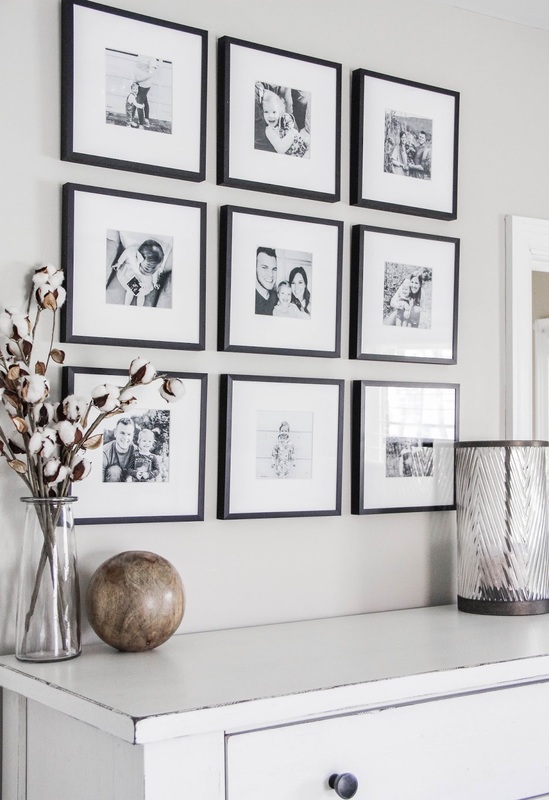 Achieving this gallery wall in your home is so simple to do. Though it's on the smaller side, don't underestimate the impact a small wall art feature brings to a space. I love the extra charm and the personal touch it adds to our master without feeling out of place. 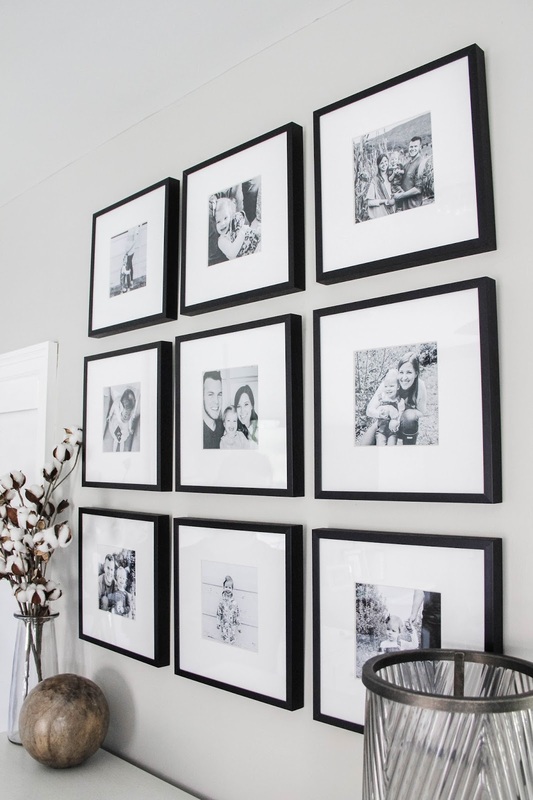 So if you're looking for a way to incorporate photos into a smaller room, it's easy to work with the size of the frames + prints to make a gallery wall that is just right in your space. 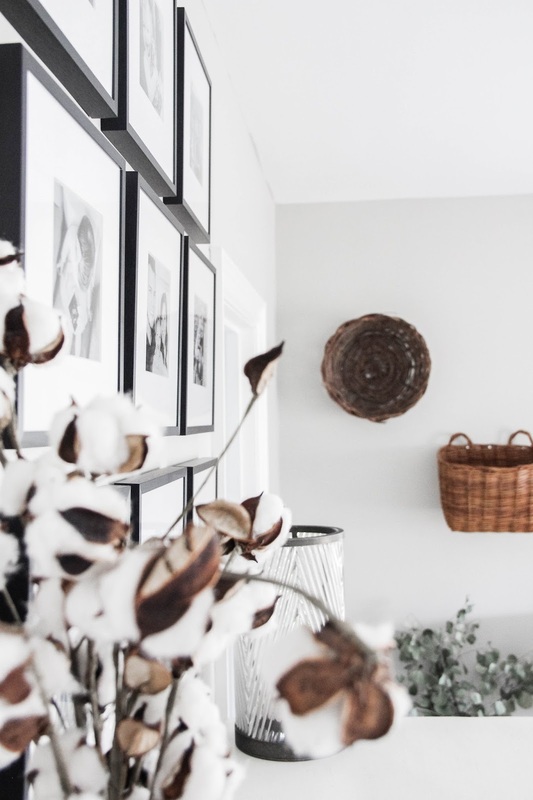 I hope you found some inspiration in my latest gallery wall!